You see a map that shows territory of Turkmenistan. actual map of Atamyrat with gps calibration presented. detailed map of Ulamsurkhi calibrated free download. detailed map of Tyl'-Ter displayed. 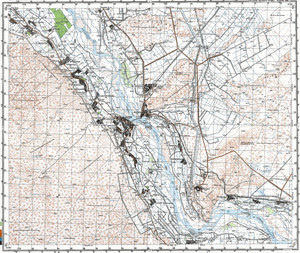 free map of Tashlyk presented. free map of Surkhi for gps. actual map of Mukry и OziExplorer calibration for gps. free map of Krasnyy Turkmenistan и OziExplorer calibration presented. map of Kommunizm with gps calibration for Garmin. detailed map of Kizyl-Turkmenistan и OziExplorer calibration for you. map of Kizyl-Ayak this. actual map of Kiikchi и OziExplorer calibration for Garmin. actual map of Khatab with gps calibration this. topographic map of Kessyr here. interesting map of Kerkici for you. interesting map of Kerki-Aryk for Garmin. interesting map of Kausy 1 cm to 1 km free download. interesting map of Kalyam и OziExplorer calibration here.